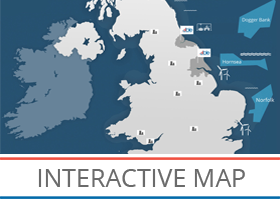 If you’re looking for something different to do this weekend how about Teesside’s newest seaside attraction. A water park and play area has been officially opened on the seafront at Seaton Carew, marking the conclusion of a £1.3m Hartlepool Council project to revitalise the popular seaside resort. 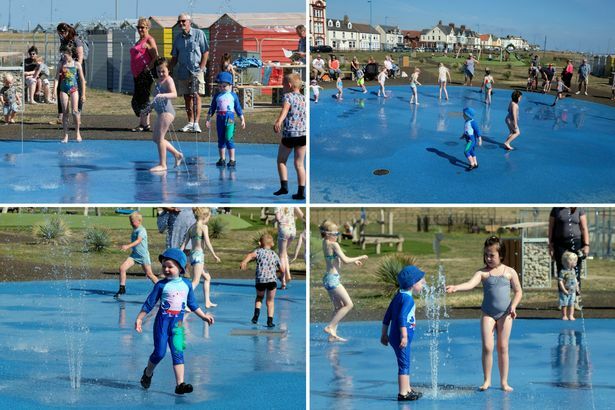 Featuring water jets and play equipment for children, plus beach huts and picnic tables, it has been created on the southern end of the promenade on land including the site of the old paddling pool. The new facility is part of wider improvements which have already been completed. The nearby Grade II-listed art deco clock tower and bus station has been repaired and repaved while in the autumn, hundreds of bulbs will be planted in the grassed area in front to create an attractive springtime display. A three metre high sculpture by Hartlepool artist Stuart Langley called Waves has also been added at the other end of the prom, at Seaton Reach. Reflecting the town’s maritime and industrial heritage, it includes pieces of sea glass which pupils from local schools helped collect from the town’s beaches. The Seaton Carew improvements were made possible thanks to a £600,000 contribution from the Government’s Coastal Communities Fund and £100,000 from local company Able UK. The main contractor was local firm Deerness Fencing and Landscaping. And in a separate development, a new ten-hole crazy golf course will be created next to the leisure area by a private investor. The Seaton Carew improvements are part of much wider Hartlepool Council plans to regenerate key parts of Hartlepool, including an ongoing £6m project to revitalise the Church Street area and turn it into a thriving creative industries quarter.